The best books for babies and young toddlers feature human faces, and Arma’s books are pretty cute. 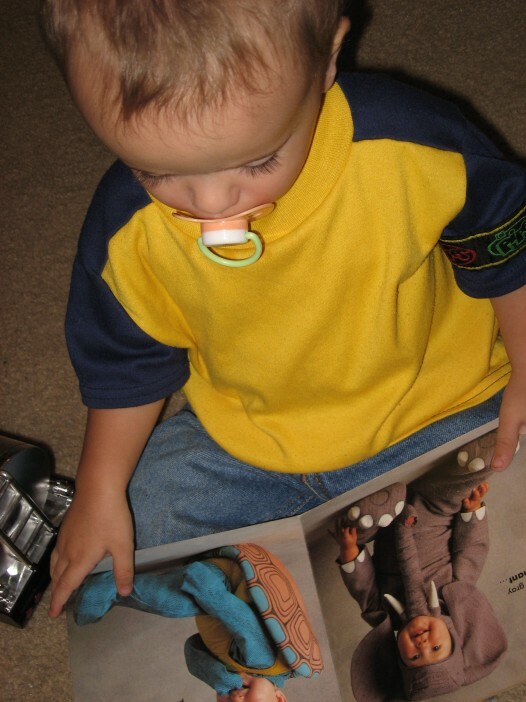 This one features photographs of toddlers in different animal costumes. Because the stage of preverbal picture-recognition lasts for such a short time I recommend this genre as a library checkout. Once a child is old enough to understand the text, they won’t be very interested in it and will be ready to move up to nursery rhymes. Publication Information: Arma, Tom. Animal Time. . 1994. ISBN: 0448404370.